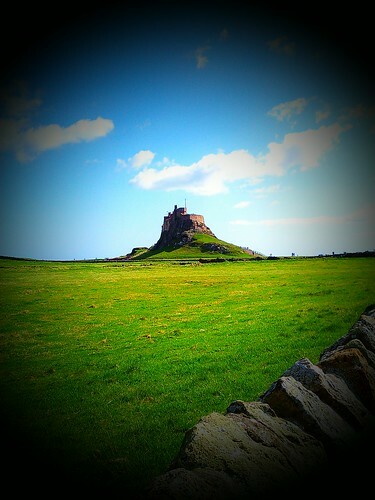 Lindisfarne Castle, a photo by deadheaduk on Flickr. 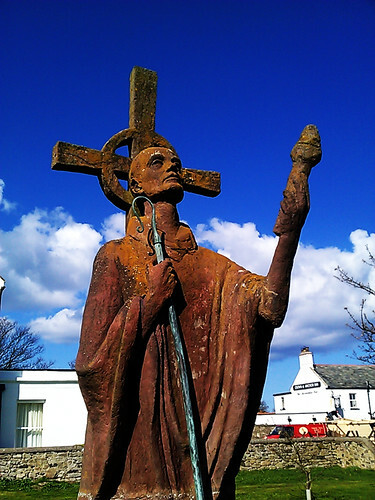 Back to Lindisfarne for the picture above – it’s a statue of St. Aiden – taken once again using my HTC Desire HD but this time using the Camera 360 App. 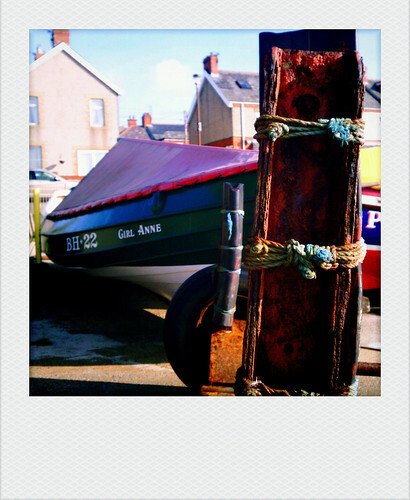 Below is one of the boats on the seashore at Newbiggin in Northumberland. 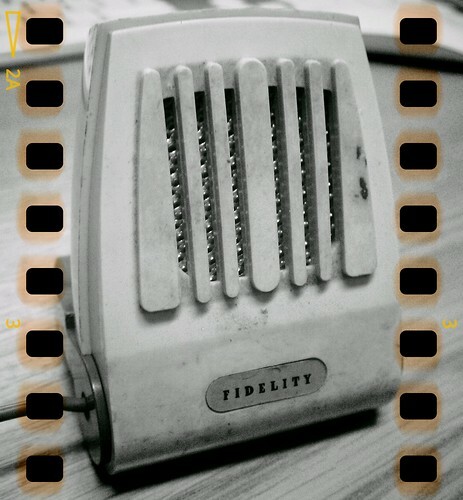 High Fidelity, a photo by deadheaduk on Flickr. 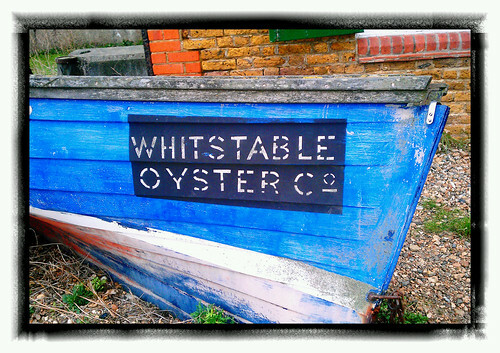 We went to Whitstable one day during the Christmas period, just to get out of the house and to let the sea air blow away the cobwebs! 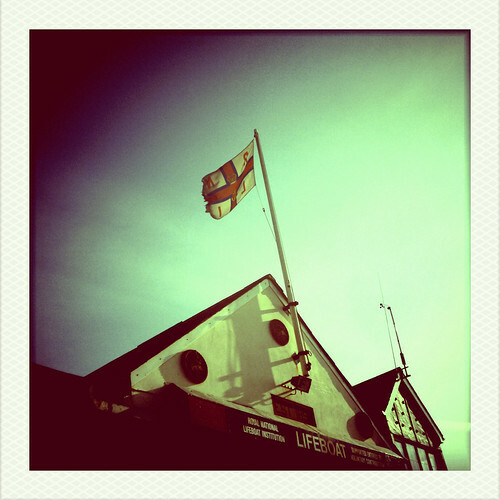 I took some pictures using my HTC Desire HD and the Vignette app. The one above is an update of a picture I took in 2007. 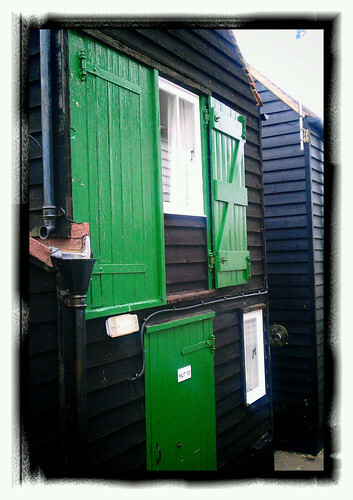 We saw these lovely old Fisherman’s Cottages on the Seafront which have been converted into little apartments. They are right on the seafront and most of them have sea views. They looked like the perfect place for a weekend getaway but when we checked them out on line they were steamingly expensive! 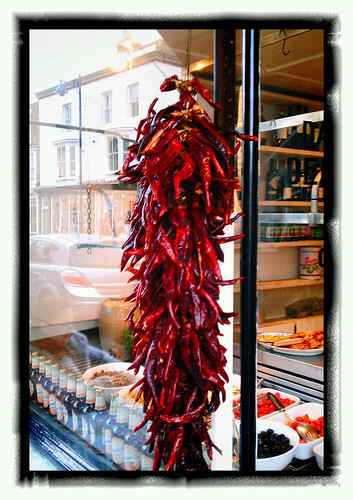 This is one of the more unusual pictures I took – I saw them hanging outside a deli as we walked down the main street. You can see the rest of the pictures I took by visiting my flickr site. 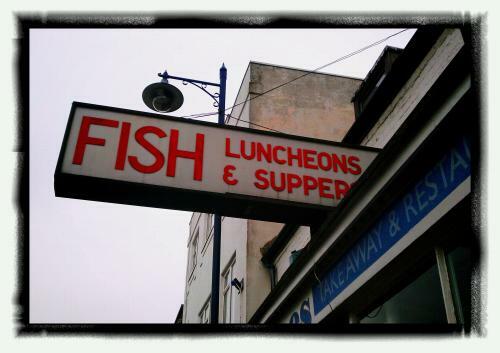 We went for Fish & Chips at a restaurant a few doors down from the Deli. Have you ever noticed how much nicer Fish & Chips taste at the Seaside!